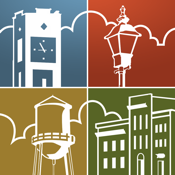 The Simpsonville App puts everything you need to know about the City of Simponsville South Carolina at your fingertips! Connect directly to your local government to request services with ease. Stay up-to-date with community news and events, and receive push notifications of important news, emergency information. The Simpsonville App also provides visitor information and will help answer questions faster than phoning municipal officials. Proactive residents can also stay in the loop for council meeting schedules and even send pictures of graffiti to be cleaned up directly to the city. This app truly puts everyone in reach.